The fundamental features for LED is the ‘controllability’. LED lighting can not only change the light sources and ways of illumination but also achieve the high level illumination effects which are intelligent,electricity-saving and bring happiness to the people.Its unique advantages can bring customer a more human-based lighting environment. Imagine wherever you are, what you need is an intelligent cellphone to change the lighting condition in your house at any time. When you go back home, you don’t need to manually turn on and off the switches, but only with a snap or a sign can turn on your light.When you are lying on the sofa comfortably, you don’t have to move to change modes of your lamps, but only turn on your cellphone and finish some setup on it. What a wonderful experience! Intelligent LED light system provides consumers with completely different lighting experience, which is the fundamental meaning of LED intelligent lighting. Therefore, the reason why LED intelligent light gets close attention is not only because of its electricity-saving effects, but also its endless possibility in the future. 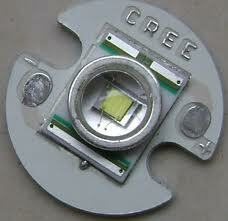 The start of LED intelligent lighting can be traced back to the 90s of last century. But due to the restriction by technology development and the concepts of products R&D. LED lighting is still under the stage of exploration. So far, the global giant LED enterprises are cooperating to explore a new market in the area of intelligent lighting.For example, OSRAM purchased Encelium to lead the concept of intelligent control. GE,Sunasia and other enterprises also manage their own intelligent lighting projects. In the national market, currently part of the big distributors like Dalianda, have positively cooperated with LED original factories and started to promote its intelligent lighting plans. We have enough reasons to believe that there will be explosive development in the LED market in the near future, in which the chances are possibly for intelligent lighting.